The University of Tokyo has fired a high-profile cell biologist after a probe determined his group had falsified data. According to a news release issued today (in Japanese), the university has issued a “disciplinary dismissal” of Yoshinori Watanabe (according to our Google translate of the notice). 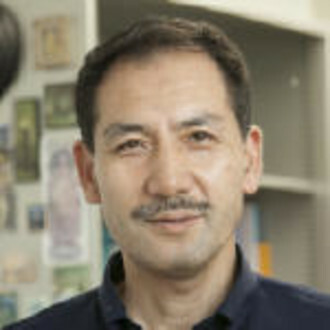 In 2016, the institution began an investigation of seven papers from Watanabe’s lab after receiving anonymous allegations. In August 2017, the university announced the result: Five papers contained falsified or fabricated images. One — a 2015 Science paper — has already been retracted. According to Clarivate Analytics’ Web of Science, Watanabe has published more than 100 papers, which have been cumulatively cited thousands of times. All errors in microscopic images happened because of unintentional mistakes in microscopy usage or in image adjustment. I deeply regret that these instances of non-identical acquisition settings or adjustment escaped my notice. According to Science, the University of Tokyo investigation examined allegations that multiple research groups at the university had fabricated and falsified data in 22 papers, but concluded that only Watanabe’s group had falsified and fabricated data. Last year, ScienceInsider reported that the university would decide on disciplinary action after reviewing additional papers from Watanabe’s group. According to a Nature News story from August 2017, all members of Watanabe’s lab had left and his 416-million-yen grant (US$3.7-million) from Japan’s science ministry had been suspended. Watanabe’s lab website appears to be still active.